Beyond photography, my opportunities to create non-commercial art are very limited due to, you guessed it, time constraints. But the interest is still there. So I've decided to do the next best thing and make something that is less time-consuming than an intricate drawing, yet no less creative. The result? 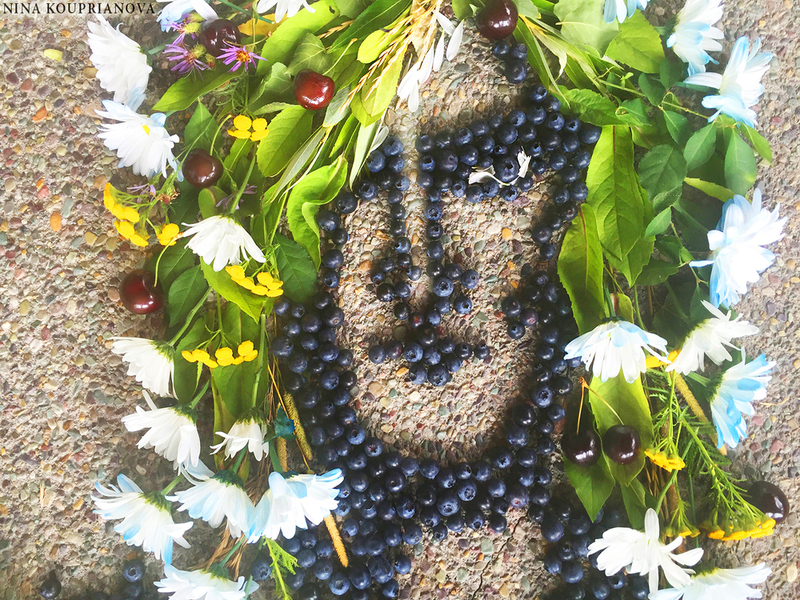 Another "natural portrait" of Japanese musician Morrie literally made of summer: flowers, greens, blueberries, cherries, apples...Good music inspires what I'd like to think is interesting art. 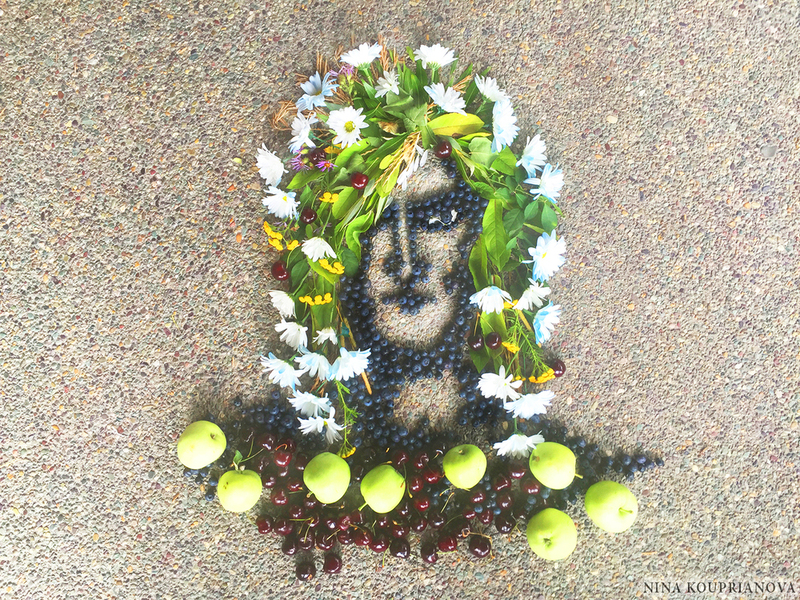 In general, my "natural portraits" are meant to emphasize the mutability of nature, its growth and decay. 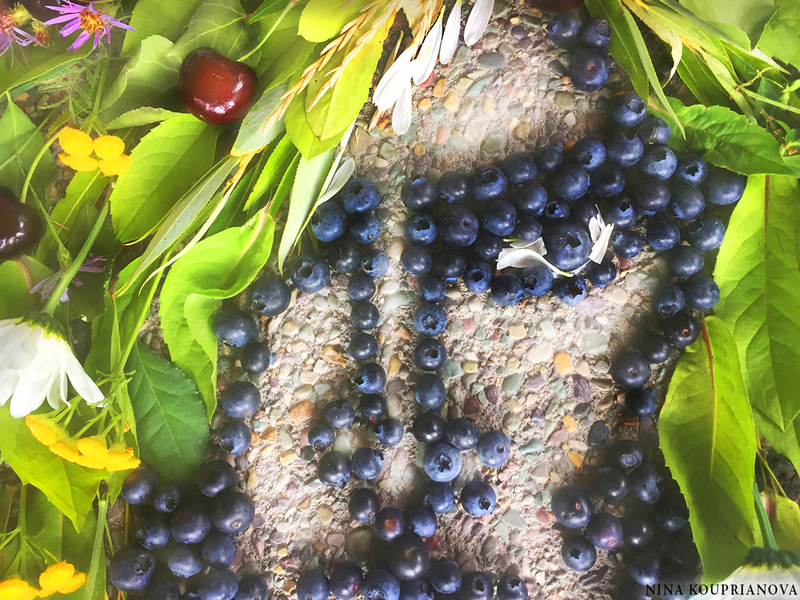 The very structure of any given piece is highly unstable: imagine putting each berry together as the wind in the Rocky Mountains decides to play tricks on you! Sometimes, it's worth keeping and documenting such mistakes, as they are part of the process. Once the portrait is done, its constituent parts get "recycled" back into nature. In this particular case, delicious berries and fruit from a local farm were, well, eaten! In the end, the only record of a "natural portrait's" existence is preserved through photography. Though unlike my previous exemplars, I've also decided to go one step further and create a 6-second timelapse out of the consecutive photographs I had taken of the creative process.